Borrower: I need money. 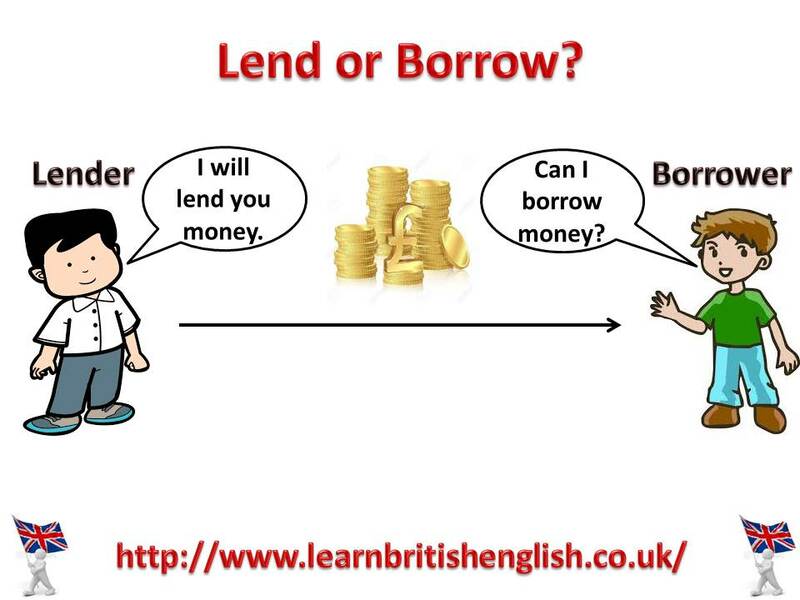 Can I borrow money from you? Can you lend me money? Lender: I can lend you money. You can borrow money from me.